The Post Office Agents Association Limited is the membership association for the owner/operators of Licensed Post Offices and for Mail & Parcel Contractors who deliver on behalf of Australia Post. POAAL has been looking after its members since 1939. In episode 23 of the POAAL Podcast, POAAL’s Bob Chizzoniti discusses the transition from the current LPO payment for bags and trays to the incoming payment for trays dispatched. As part of a recent Fair Work Commission review a number of decisions have been handed down altering the terms of the General Retail Award 2010. Those revisions relate to casual loadings, Sunday penalty rates for shiftworkers, and termination of employment. Workforce Guardian has prepared a revised Award summary for Licensees. Australia Post appeared briefly before Senate Estimates Committee late on Thursday 4 April. POAAL members can access the POAAL Master Policy for Public Liability and Personal Accident insurance at competitive rates. Another way that POAAL helps you protect your business. Read more. 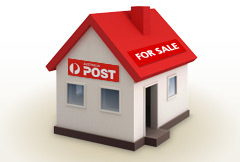 A Licensed Post Office (LPO) is a privately owned post office which is operated under contract (licence) to Australia Post. Learn more in our guide for prospective licensees. 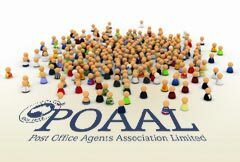 Complete your expression of interest now to become a POAAL member. Postal News is the journal of the Post Office Agents Association Limited. 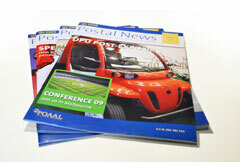 Postal News is full of news for Licensees. View an archive of our covers and overview of contents. Australia Post has divested its 10.06% shareholding in global logistics company Aramex. Australia Post has announced a profit before tax for the first half of $154 million, down 36% year-on-year. Australia Post will acquire Aramex’s 60% stake in Aramex Global Solutions (AGS), the e-commerce logistics joint venture Australia Post, for US$20 million. Want to be a mail contractor? Interested in becoming a Mail Contractor? 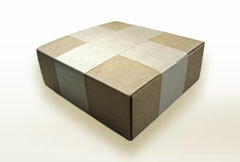 Mail & Parcel Contractors deliver mail (or other consignments) on behalf of Australia Post. Learn more in our guide for prospective Contractors. POAAL membership renewal notices for 2018/19 have been posted to Couriers. Pay online with your credit card and you can immediately access your invoice and insurance certificate(s). The POAAL National Office will be closed for the Melbourne Cup holiday on Tuesday 7 November. UPS has announced it will use new zero-emission electric trucks from Daimler Trucks’ Fuso brand, called the eCanter. The POAAL National Office will be closed on Friday 29 September for the “Friday before the AFL Grand Final” public holiday in Victoria. Want to be a Courier? Interested in becoming a courier owner/driver? Do you have your own delivery vehicle? Learn more in our guide for prospective couriers.